Although the word “serial killer” was never uttered from correspondent Ana Cabrera’s lips in her report that aired last night on CNN Tonight with Don Lemon, that was how the show’s account characterized the incident. Again… nowhere in Cabrera’s report did the words “serial killer” come up. @CNNTonight hey guys… Your tweet about my story has a mistake! 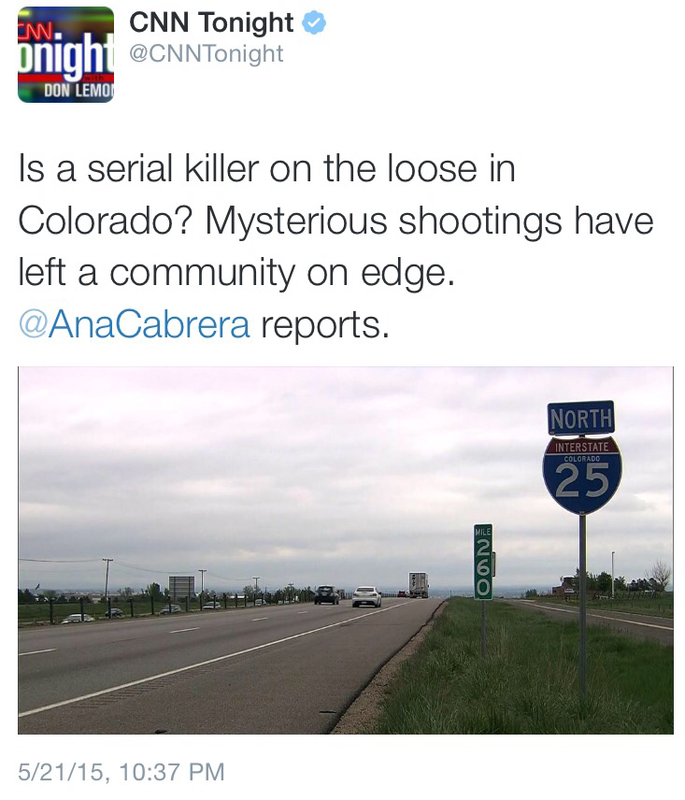 CORRECTION: Our tweet from last night should have referred to the mysterious CO shootings as a potential serial sniper. Inclination was to bait and switch?